History will remember Musk as one of our generation’s greatest inventors. And yet we’re doing everything we can to shoot him down. Being an entrepreneur is not fun. At least, not anymore. Our attack on entrepreneurs is more fierce than ever before, and no one is under more scrutiny than Elon Musk. 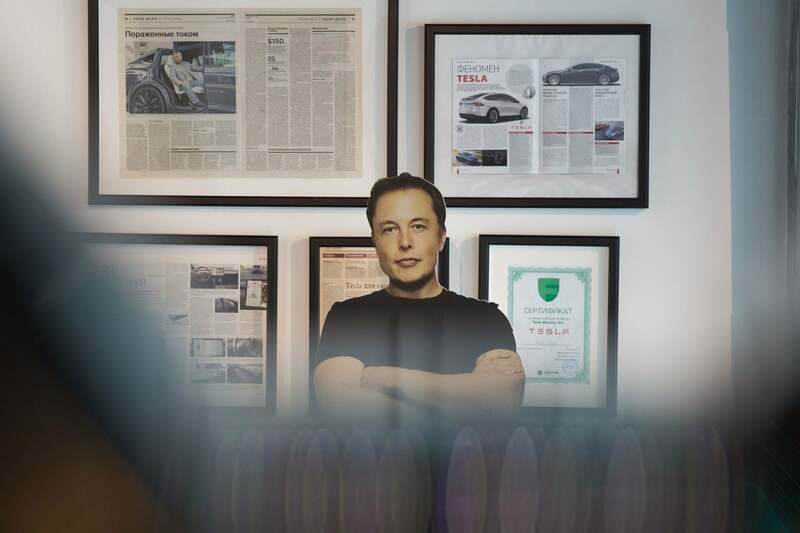 Tesla, The Boring Company, SpaceX – all of them represent a leader in a category. Tesla is not just a winner in the electric car industry, soon it will be a winner in the automobile industry. The Boring Company, though it is an infrastructure company, is also a force for revolutionizing our daily relationship to our cities. SpaceX is more than an aerospace company. It’s a pioneer leading us into the next generation of space exploration. Musk is similarly more than the sum of his parts. He’s not an just entrepreneur, and he’s certainly not just a CEO. History will remember Musk as one of our generation’s greatest inventors. And yet we’re doing everything we can to shoot him down. Despite that, he’s teaching us some very important lessons about what it means to be a defining force in our generation, even when the forces are stacked against you. With each new “scandal,” Musk exposes more about our society’s current relationship to entrepreneurship and our habit of denouncing and discouraging the greatest minds of our generation. While businesses loves to devise timelines and enforce deadlines, the fact remains that innovation does not adhere to a Gantt chart. In fact, if the history of technology teaches us anything, it’s that you can’t achieve greatness on a quarterly schedule. The Wright brothers invented the airplane between 1899 and 1905. This period, longer than many startups’ lifespans these days, represented six years of mastering aeronautics and then applying it to a practical flying machine. And even though it may feel like an infinitely long amount of R&D time by today’s standards, it doesn’t encompass the centuries of research by the greatest minds in history into aerodynamics that predated the brothers. Finally, even after the success of their first flight, it wasn’t until 1914 that the first commercial flight took off, 15 years after the Wright brothers had put their minds to it. The Wright brothers demonstrated that there used to be a certain degree of public patience for innovation. The 20th century didn’t demand the quick-turn breakthroughs that the 21st century requires. Now, we expect our inventors to be both brilliant and fast. If you need proof of these expectations, you need look no further than Elon Musk. Now, there is no doubt that Musk is building on the shoulders of his own giants before him, but the feats of SpaceX, Tesla and The Boring Company are not trivial. They are not just space expeditions, car companies or transportation ventures. Instead, these companies seek to redefine humanity’s abilities to reach the stars affordably, accelerate the ability to travel sustainably and redefine what it means to have a transportation infrastructure. Despite, all of these major accomplishments, Musk is constantly criticized. His failures are carefully catalogued and the public has made clear their waning support. Musk was attacked especially harshly for wanting to go private to avoid the scrutiny of quarterly reporting, hostile boardrooms, and state and federal government that set up red tape after red tape after red tape. If you are an entrepreneur, I would call your bluff if you’ve never lamented the temporal pressures of the market, your board, your runway and the reality of what it actually takes to get it right. Some accountability to an overarching timeline is helpful to the modern entrepreneur. It’s a reminder of the ever-increasing race to be the first one to discovery, the first one to achieve the moonshot. However, the public backlash to Musk’s (often successful, occasionally delayed) attempts to invent net-new products shows that we’ve gone too far. If we allow impatience to be the new gut reaction to innovation, we’re going to close ourselves off from the discoveries that are going to lead us into new eras of technology and progress. Musk is also a living example that being a category winner doesn’t mean you win all the time, every time. Yes, SpaceX failed to launch its first time around and yes, Tesla isn’t producing as fast as their original timeline predicted. In short, yes, Musk is failing. But, so did Thomas Edison. And, at least while this failure lives in the annals of history, we seem to love to talk about it. We compliment this perseverance in the face of failure, and your nearest light switch is visceral proof that it paid off. Whether it be Edison or one of the other thousand stories of invention, there is undeniable proof that iteration and failure are necessary steps in discovering the next big thing. So, why is it that we do not afford the same encouragement, the same forgiveness to the great’s of our own generation, like Musk? The reaction to Musk shows that we’ve become so fixated on success, that we can only appreciate innovative thinking when we know the ending to the story. We can only accept failure when we know victory will quickly follow. What we have left ourselves with is a culture of entrepreneurship that both fetishizes failure and simultaneously shames it. While I have every confidence that Musk will eventually succeed in any new ventures still to come, I also know that he’ll continue to fail along the way. Not only is that fine, but it’s normal for category winners. You need to test out all your ideas to arrive at the very best one. Sometimes that means experimenting a dozen times, and sometimes it means surrounding yourself with 10,000 lessons learned. The public’s attack of Musk on Twitter and Facebook, in op-eds and news articles, has got to stop. Failure can breed success, as history has already proven. Scrutiny of that failure does not. As an entrepreneur, as an investor, as a consumer, do not be a part of setting the precedent that this is how we treat those who strive for great things. You may be killing the next great idea. Related: Elon Musk Is Bold and Daring. But Should You Be Like Him? I absolutely believe we should hold entrepreneurs to certain standards of ethics and conduct. But, we should not let our own spoiled expectations of quarterly progress dictate inventors breakthroughs. Nor should we mandate that successes are only really successes if their history of failure is neat and tidy. If we fall into either of these traps, we make entrepreneurship more challenging than it already is and limit the true potential of our visionaries. Because the fact is, our collective progress will be dictated by the way we treat those who risk failure as they seek to change the world. Remember, they do not need us. When we stop shaming Musk, we open the door to another dozen like him — the great minds that are currently hiding out, waiting for the space to fail. And then for the opportunity to succeed.